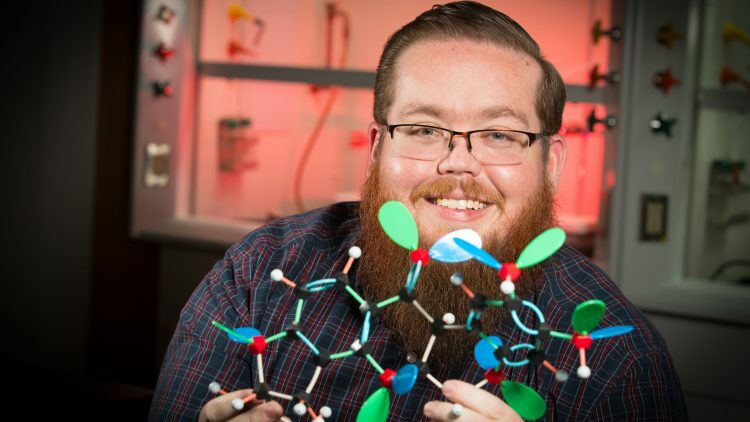 Dr. Matt Siebert, associate professor of chemistry at Missouri State University, shares about biodiesel and how it could change the way we get around. This upcycling of a previously discarded byproduct seems like a good thing, but Siebert cautions that there’s a downside as well. It has a higher freezing point – so the fuel could freeze in the lines. “If you put it into a conventional diesel engine that’s been running diesel fuel, some carbon deposits on the inside of your fuel lines,” and ultimately damages the engine, noted Siebert. Due to these complications and since most passenger vehicles don’t run on diesel, Siebert and graduate students researched how to convert the biodiesel into gasoline. “This gasoline would be chemically equivalent to petroleum-based gasoline. The major advantage is that the original source is from plants and so this would be a more sustainable fuel source than our current dependence on petroleum,” he added.